Over time winches have evolved to become a very important recovery tool that is used on most overland rigs nowadays. There are many types of winches to choose from, from countless manufacturers. Apart from the big brands like Warn or Smittybilt, one of the challenger brands is Badland. In our Badland Winch Review we will discuss their pros and cons, features and how do they perform in general so that you can decide whether purchasing a "Badland 12,000 winch" would be a good decision for you, or not. 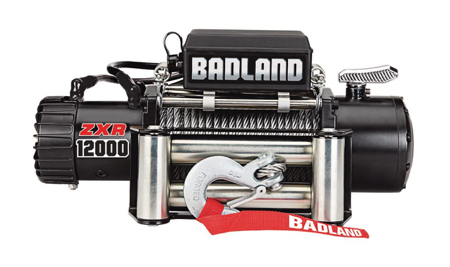 The Badland winch is literally made for “bad lands” – or so many users say. Let us see what this winch can bring to the table and whether it can help you out in very tricky situations or not. This unit was meant to benefit off-road vehicles. Having an aircraft-grade steel cable, this model was made to be more durable than the average winch, and with the ability to pull more weight as well. The 6 HP Series Wound motor is typical of high-quality winches, particularly the ones provided by Badland. They are supposed to enable lengthy use, with the automatic load-holding brake keeping the motor from overheating. That is usually the case, however, some users complained that it can actually overheat from time to time. Naturally it comes with a Badland winch remote and the 12 ft cable is usually long enough to keep a safe distance from the action. Although you would need to purchase it separately, a wireless Badland winch remote control is available and it is a great addition to your kit. However, it's only worth buying it if you do use your winch frequently. Considering its features, one could see that this model was meant for heavy-duty use. Given the 12,000 lb. load capacity, those that drive off-road may be able to truly appreciate this unit. Weighing a little bit over 90 pounds, this unit is not the easiest winch you could lay your hands on. However, chances are, folks who buy a winch with a 12,000 lb. capacity will mount it on an equally large rig that won't really mind the heavier unit on the front. The installation and usage of this unit are very straightforward. You start by mounting the fairlead, you continue by attaching the controller box, and then you mount the winch through the front bumper plate. The cable will thereon go through the fairlead, and you finish by hard wiring it to the battery. You are ready to start winching now. Generally, this process should go flawlessly – but if you experience any issues, you might want to contact a professional. Considering that the general price is something between $300 and $400, the Badland winch is perfect for those who want a professional product – but do not want to spend loads of money on it. 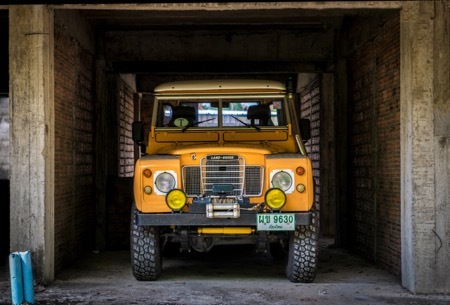 According to buyers, it offers a fair amount of recovery muscle, making it a good winch to take you out of a tough situation. Most buyers admitted that this is a good winch, one that you can use for several years. It’s strong enough to handle big cars, including Chevy 5500 water trucks, Jeeps, and so on. They say that if you know how to properly install and use the winch, it will work for years without any issues. The cable is sturdy, and even if it does break, you can get it fixed under the warranty. hey will also make the winch stronger, allowing you to “pull a mountain,” as a buyer mentioned. Of course, keep your engine running while using the winch. Who Makes the Badland Winches? The devices are manufactured in China and branded as Badland Winches by Harbor Freight. 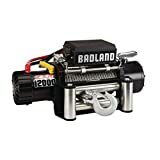 What are the Alternatives to the Badland 12,000 pound winch? 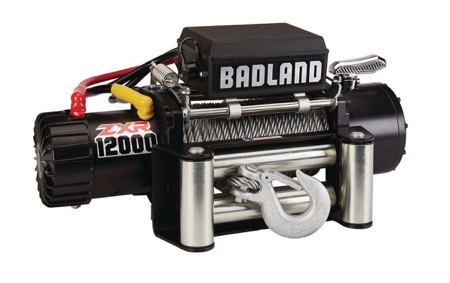 This fairly affordable Badland winch is a good option for those who are looking for a high-quality product made from sturdy materials but do not want to blow through their whole bank account, i.e. don't want to buy a Warn. We like the fact that they use aircraft-grade cables that won’t break regardless of the weight. For more information, you may want to check out the Amazon listing of this 12,000 lb. Badland winch. You’ll see some clear pictures of the product and you’ll be able to read more reviews from previous users. Alternatively, you can check out if eBay has a better offer on the same product by clicking here.